You might not expect Stockholm to spawn a cutting-edge Americana band, but the Bondesson sisters, Greta, Stella, and Sunniva, have earned alt-country cred with their albums, Fall Among Thieves, New Friends, and, most recently, Little Wild Life. 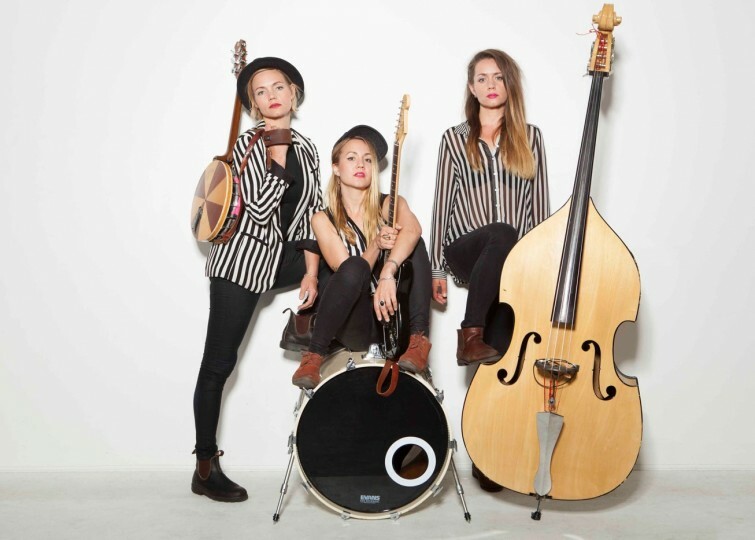 With Greta on guitar and banjo, Stella on double bass, Sunniva on guitar and cello, and all three sharing singing and songwriting duties, the band rides on intricate instrumentals and haunting harmonies. Uncut praises their “dark-hearted Scandinavian introspection” and their “very fine harmony singing.” After a stint in Nashville, the band is currently based in Los Angeles. Fresh from a smashing tour with Brandi Carlisle, they’re bringing their irresistible sound to the Freight!